New “hide products” feature. The plugin now includes a global option to hide unavailable products completely, rather than showing a “product not available” message. This will make it super simple to have geographical catalogues, such as one for Europe, one for North America and one for Australia, while still allowing to keep some products common to all regions. The WooCommerce PayPal Express Multi-account plugin is now available for download, free for a limited period! This plugin extends the excellent PayPal Express plugin developed by SkyVerge, and integrates with our popular WooCommerce Currency Switcher. Once enabled, it adds the possibility of entering multiple sets of API keys (one for each of the currencies enabled in the Currency Switcher). Payments in each currency then automatically directed to the PayPal account associated with the API keys. Like the PayPal Standard Multi-account and the Braintree Extended gateway, this plugin is designed to be simple and straightforward. Install, enable, enter the API keys for each of the PayPal accounts you hold, and you are ready to go. Enjoy one more great product from Aelia! We are happy to inform you that, thanks to a great job done by ThemeComplete, the Extra Product Options plugin is now compatible with our WooCommerce Currency Switcher. 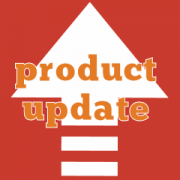 The Extra Product Options plugin is an excellent alternative to the official Product Add-ons plugin, and it allows you to create flexible, configurable products, with pricing that varies depending on the selected options. 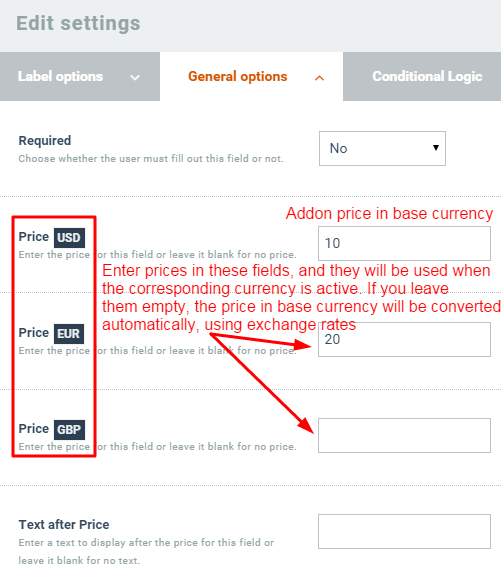 Thanks to this new integration, you will now be able to set product options’ prices in base currency, and have their price in other currencies calculated automatically, or set each option’s price in each of the currencies. This is a powerful and unique feature, which you won’t find in other “addons” plugins (see screenshot, below). You can buy the Extra Product Options from CodeCanyon, and the Currency Switcher directly from our shop. We would like to thank again ThemeComplete for the excellent result, and for their choice of adding support for our Currency Switcher, leading multi-currency solution for WooCommerce. 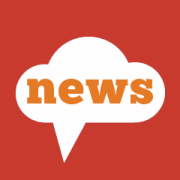 Fixed bug in IPN handling in WooCommerce 2.3.10. The bug was caused by incorrect references in base WC_Gateway_Paypal_IPN_Handler class, which caused the PayPal merchant email validation to fail in some circumstances. Ref. https://github.com/woothemes/woocommerce/pull/8348. Fixed bug in rendering of reports. The bug caused the sales report to display inaccurate figures in WooCommerce 2.3.